Yesterday I got a few of the new releases by Gasqhe and the first one I would like to show you the ” Ellie” dress. For the jewelry I decided to wear one of the january inspiration sets by Finesmith Designs, the “Helen Zhora Inspiration” set. A wonderful and extraordinary set with non usual parts like the 2 big shoulderparts that I loved a lot in combination with the ” Ellie” dress. The Earrings are part of the “Lulu’s Melody” set and are an amazing addition to the whole elegant look. 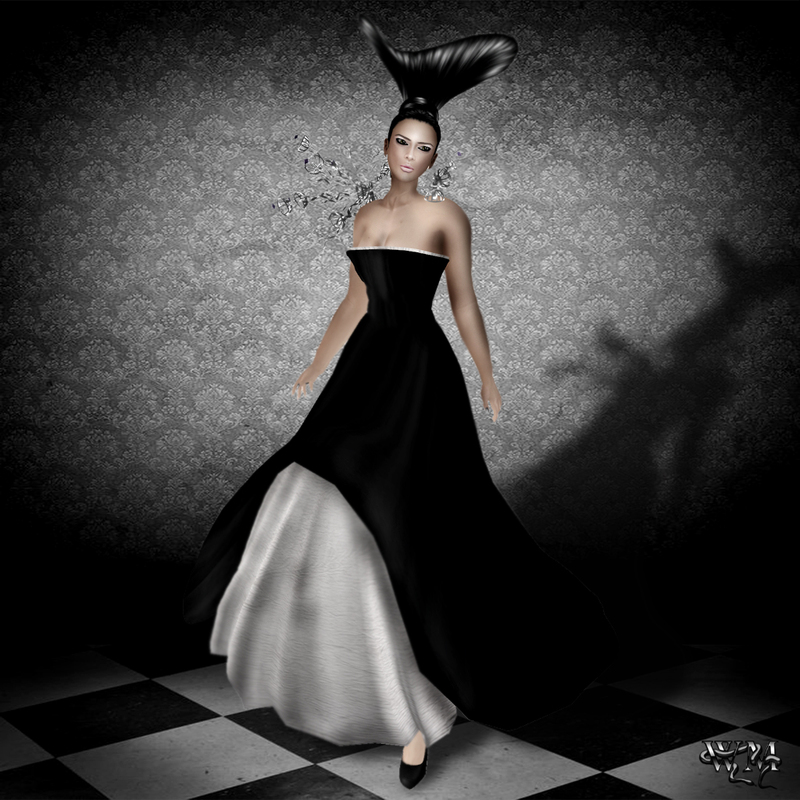 This entry was posted in Fashion and tagged 3D people, Black, Black & White, Blog, Blogger, Dress, Earrings, Elegant, Fashion, Female Clothing, Finesmith Designs, Gasqhe, Glam Affair, Jewelry, Latest Release, LeLutka, meta virtual, Model, Modeling, New, New Release, News, photographer, Photography, Purple Moon, PurpleMoon, Redgrave, Release, sculpted, sculpted prims, Second Life, Secondlife, SL, SL Clothing, SL Fashion, Style, Virtual World, white, Wicca Merlin. Bookmark the permalink. ← New Release at Narcotix!